Those in the banking industry who are drawing up their Christmas wish lists may wish to hold their horses. Going by the latest quarterly results, the bonus payouts and pay increases they are hoping for may not pan out, say some quarters in the industry. Global financial services career website eFinancialCareers, which did a survey on the banking sector's bonus expectations, counts Singapore financial services professionals among the most optimistic of a year-end windfall. Nearly three-quarters (72 per cent) of them believe they will get a bonus, and 76 per cent, a pay hike of up to 10 per cent. The survey polled industry professionals in Singapore, Hong Kong, Australia, Germany, the United Kingdom, the United States and the Middle East last month. Just under 4,650 individuals responded; in Singapore alone, nearly 1,000 individuals were surveyed. But George McFerran, eFinancialCareers' managing director for Asia Pacific, said some professionals could be in for a disappointment - the survey was done before the Q3 results were out. "If you look at some of the results, individuals seemed bullish, but their employers were not so bullish. There was a disconnect. Some may be disappointed," he said. JPMorgan, for example, reported a loss in the third quarter as it nears a US$13 billion settlement with US regulators. It has said the bonus for investment bankers will be 15 per cent lower than a year ago. Goldman Sachs has also indicated that its bonus pool for the first nine months of this year has shrunk by 5 per cent. 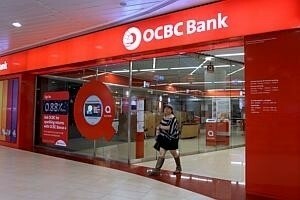 The three local banks, due to report their Q3 results next month, recorded mixed results for the first half of this year: OCBC Bank's net fell 8 per cent; and DBS Group Holdings and United Overseas Bank posted better-than-expected increases of 10 per cent. Referring to the survey, Mr McFerran said the respondents were pinning their bonus and pay increase expectations on their personal performance. "If your own organisation fails to perform, the bonus pool is reduced, but clearly, some think they performed strongly and would get the money," he said. He noted, however, that people have historically been "pretty good" about estimating where they stand. Half the survey participants said their bonus would be bigger this year than last year; more than a quarter said they expected their bonus to match last year's. Most cited personal performance (34 per cent) or company performance (26 per cent) as the main reasons for a bumped-up bonus. Of those who said their basic pay had changed over the past year, nearly nine in 10 reported an increase. They expect their basic salaries to rise again next year. Half said they expect their base salary to go up in the next six months; the majority (76 per cent) anticipate a pay rise of up to 10 per cent. But one less sanguine banker noted that pay increases had averaged under 5 per cent for the past two years, and that it's difficult to see it getting better this year: "There have been all these new regulations for consumer banking and private banking. Revenues will be affected." She also pointed out that investment banking and markets and treasury businesses have run into volatile markets; yuan-related trade flows, for example, have hit a plateau. Banking professionals are, however, still in strong demand in compliance and risk management, and banks may use the bonus as a tool to retain such individuals. Mr McFerran said: "The shortage is not just in Singapore, but globally."